The Bell 429 is a twin-engine light-utility helicopter designed and manufactured by Bell Helicopter Textron, Inc. of the USA. 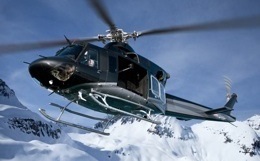 The Bell 429 Global Ranger is powered by two Pratt & Whitney Canada PW207D1 by Pratt & Whitney turboshaft engines, each rated at 820kW (1,100shp) and introduced the use of advanced technologies, including advanced main rotor blades, an aircraft data interface unit (ADIU), autopilot and hydraulics. The Bell 429 features a spacious cabin of volume 204ft³, wide 70in sliding doors, optional clam shell doors and seating for up to 7 passengers. The Bell 429’s exceptional flight performance and cargo capacity combined with a spacious cabin make it suitable for a wide range of missions. 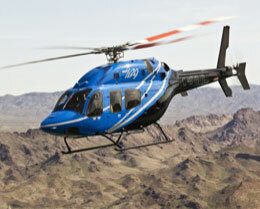 The Bell 429 GlobalRanger made its first flight in early 2007, was certified in 2009, and officially launched in 2010. It was originally developed to be used mainly for emergency medical service operations, as the previous 427's cabin was too small to properly accommodate a patient litter. As a result, the 429 was intended to be a stretched version of the 427. However, the 427 airframe was eventually abandoned altogether and the Bell development team decided to return to the drawing board, producing a brand new modular airframe for the 429. This airframe was based on Bell's Modular Affordable Product Line (MAPL) concept and offered almost twice the cabin volume of the original 427. Accordingly, the 429 became a much more appealing option for emergency medical services. It was a calculated and intelligent move on Bell's part as EMS customers represent a very significant part of the helicopter market. 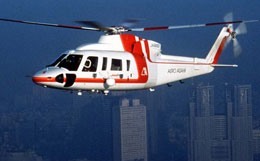 The 429 also represents a turning point in the company's focus, considering that the GlobalRanger is Bell's first completely new model in the last thirty years, and also the most prominent civil utility aircraft the company has produced in over ten years. The 429 GlobalRanger's impressive cabin size was an imperative selling point, but Bell needed to do more to maintain its competitive edge. As a result, the 429 GlobalRanger is a high-performance aircraft that boasts impressive hot-and-high and climb performance. Even more impressive is the fact that the aircraft can excel in these areas at its maximum gross weight. It owes its great performance mainly due to its efficient and reliable Pratt & Whitney PWC207D1 turbines, which provide a hefty 1,100 shaft horsepower each. This allows the GlobalRanger to travel at speeds of up to 142 ktas with a maximum range of 368 nautical miles. Utilizing its optional skids, the 429 can reach even greater speeds of 150 ktas. The 429 was designed conforming to a streamlined maintenance steering group process allowing seamless maintenance procedures that reduce operating costs and save time. Accordingly, the 429 only needs to be checked every 200 flight hours making it one of the easiest helicopters to keep properly maintained. Perhaps the most impressive aspect of the 429 GlobalRanger's expansive cabin is that it not only provides ample usable space, but is also surprisingly flexible. Able to be individually customized with ease, the 429 provides limitless versatility in terms of possible mission types. Although it has been commonly advertised as an aircraft ideal for emergency medical service operations, it is also regularly utilized for VIP and executive transport, among other uses. For example, in 2011, the prominent multinational energy corporation Chevron became the 429's first offshore operator. Not surprisingly however, the most common non-medical utility use of the aircraft is VIP transport. 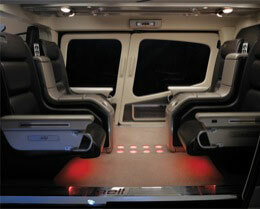 Private travelers can utilize the flexible club seating, which can accommodate up to seven passengers. 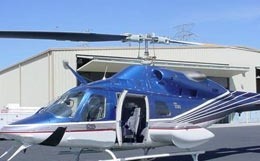 It's fortunate that the 429 excels at customization as versatility is the name of the game in the helicopter industry. Versatility alone is nothing without safety however, and travelers can rest assured that Bell has exemplified their integrity and extensive experience to produce some of the safest rotorcraft in the world. For more information about chartering, leasing or buying a Bell 429 Globalranger please contact us by calling +44-20-3874-8091 or send us an email here.